Banner photo: Creag Mhor and Ben Armine from the south-east, probably Strath Skinsdale. The plan is to set off during a period of settled fine weather in summer when the days are long. Starting late afternoon/early evening, complete legs 1 and 2. Stay at Ben Armine Stables. 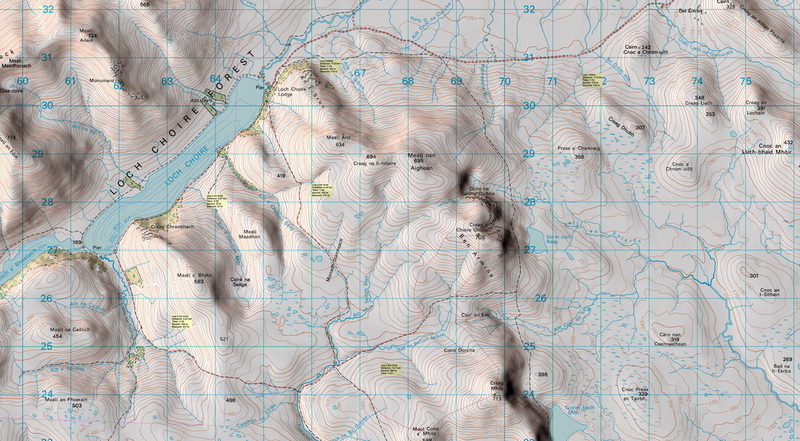 ​Day 2: climb Ben Armine and Creag Mhor following the route clockwise, i.e. Ben Armine first, before returning to the stables for lunch. In the afternoon, take the easy walk dropping down to Loch Choire bothy for the night. ​Day 3: walk back to the bike and cycle back out to the car, hopefully arriving home for lunch.